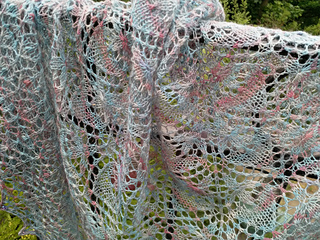 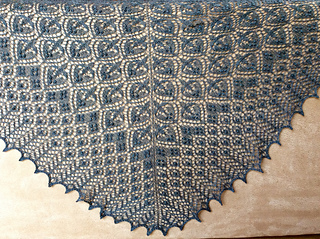 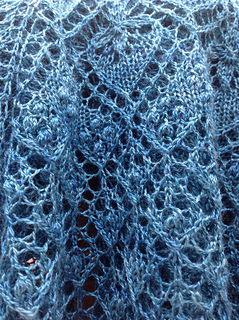 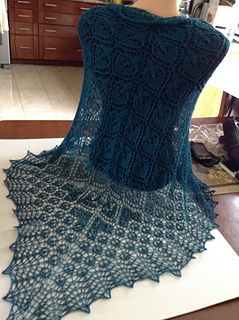 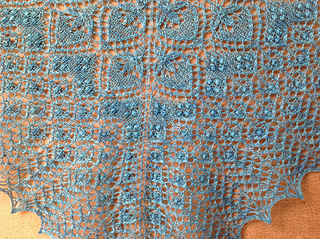 A triangular shawl knitted from the top down, using Estonian stitches. 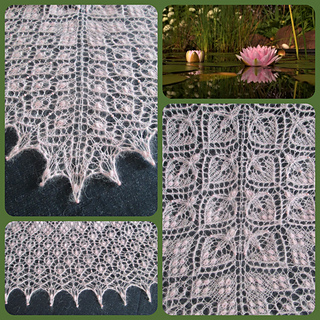 Waterlilies, hearts and flowers, decorated with a lot of nupps or beads. 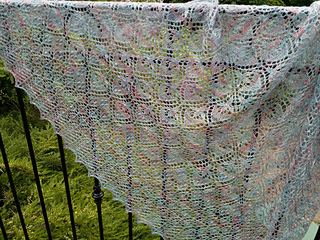 Size is modular, gauge is of no importance. 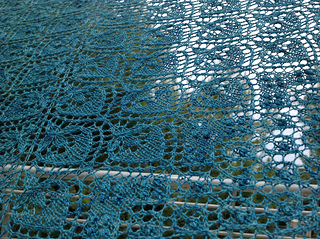 Wrong side rows are purled. 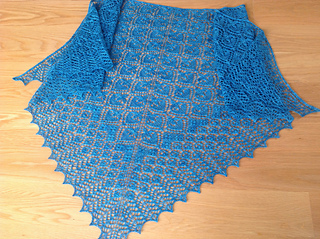 There are written instructions after each chart but they should be used only as an auxiliary, supporting the charts tool, not as the main instructions for knitting the whole shawl, as they do not take into account the repetition box of the charts. 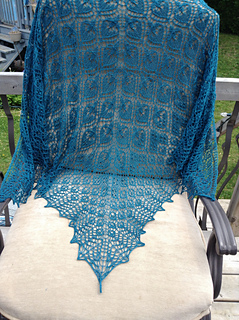 Here is the happy test thread with very useful info.